At the start of this, we have Bizarro recall his past with adorable art work. But it’s not his past, it’s Kal El’s past -- just another reminder to him that he’s just a clone. 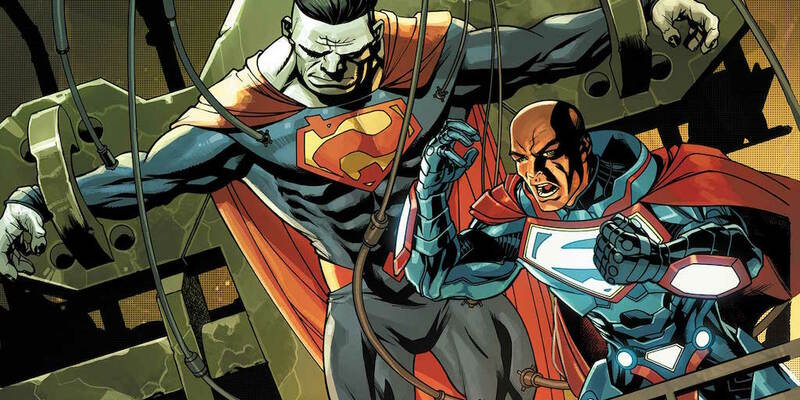 We last left Bizarro in the hands of Lex Luthor as he’s the only one who can save him and he actually does. Since Bizarro is genetically the complete opposite of Superman, kryptonite actually helps stop his degeneration. His regeneration happens quick but I was super relieved that Lex was able to stop him from dying. I’m so emotionally attached to this team that I would be devastated if anything were to happen to Bizarro. Most of the issue is a recap for Bizarro’s story through his own eyes and it’s such a great read. It catches new readers up to speed but also gives an insight into how Bizarro has seen some of his events. It is revealed that Bizarro is actually property of Lexcorp but Lex gives Jason and Artemis full custody of him since he no longer has a use for him. But something isn’t right with Bizarro. When Jason and Artemis go to greet him after his revival, he’s talking intelligently! It was a hilarious turn of events with him and I can’t wait to see what happens next with this change of character. 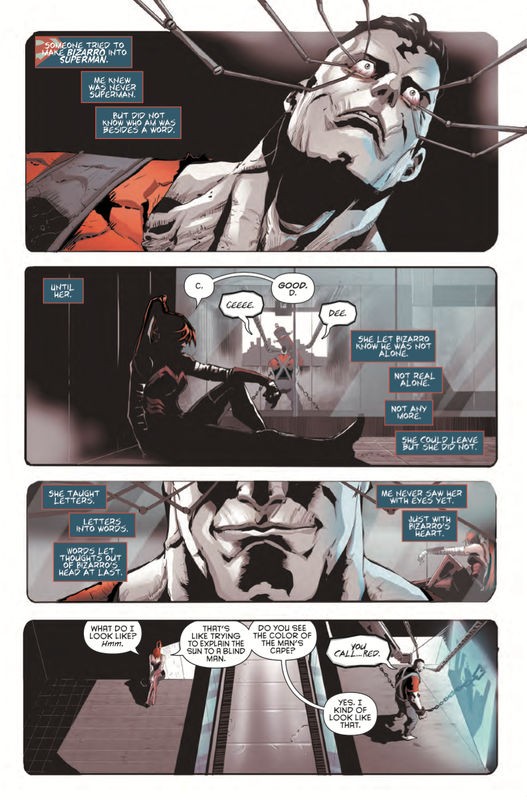 The art in this issue is amazing, as well. The cute art in the beginning is so great and is reminiscent of Bizarro’s Superman doll Jason bought for him. The regular art is so beautiful and the characters all look really good. Soy does a fantastic job in this book. 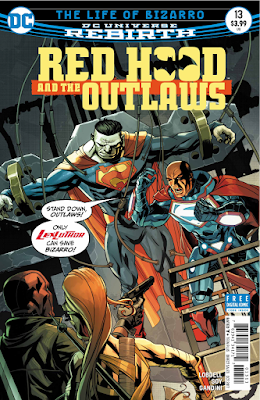 Red Hood and the Outlaws #13 is a great issue with spectacular art. It may be just a transitioning point in the story to get our heroes from where they were to where they need to be next in the story but it’s still an enjoyable and emotional issue that’s well worth the read.